The Primary 2 manual asks for teachers to make a "CTR Chart", you will be asked to use it throughout the entire year. These cutouts have been formatted to fit a poster board (16X20). There are several other options as well, it is available in letter size and also in Black and White. All of this is available below! "Make a CTR Chart. Attach picture 2-1, Jesus with a Child, to a larger piece of paper or posterboard. 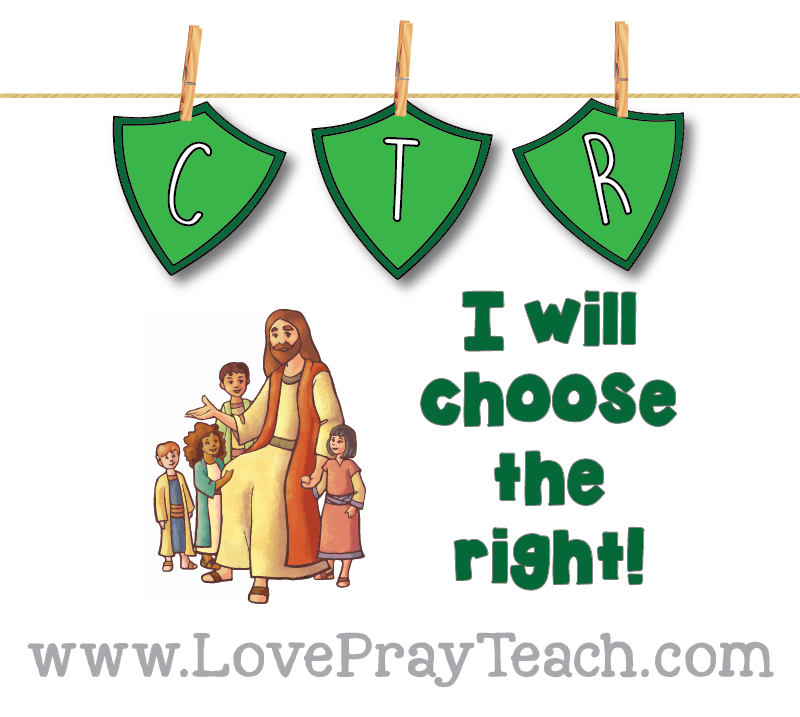 Print the letters CTR above the picture and the words "I will choose the right" underneath the picture. Save this chart for use in future lessons."